Max is a character in my online graphic novel Freaks' Progress. 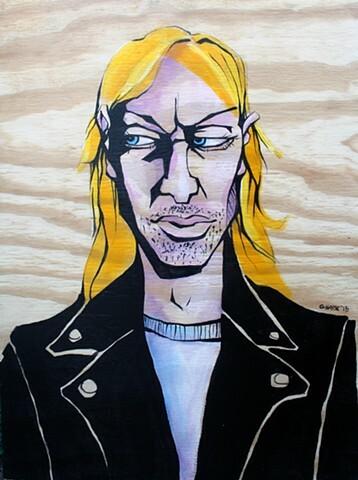 I recently started painting portraits of my comic characters on wood panels. This begins to give them in the real world the iconic status they hold in my own mind.